Stay at Esplanade 54 to enjoy the beauty and serenity of North West Bay. Esplanade 54 is a fully self contained waterfront house offering beds for up to 8 guests. The Anchorage is a late 1800’s waterfront cottage that has been beautifully renovated. The house retains much of it's original character but now offers a light and airy open plan home. The house has 3 bedrooms and 2 bathrooms. All bedrooms are simply yet elegantly styled with views of the bay from each. Two bedrooms have king size beds and the third has three single beds. The bathrooms are beautifully appointed with the main bathroom showcasing the restored original bath tub. 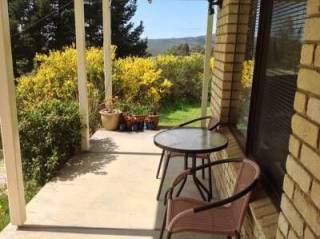 Boutique Waterfront Accommodation south of Hobart. 2 New spacious holiday homes. 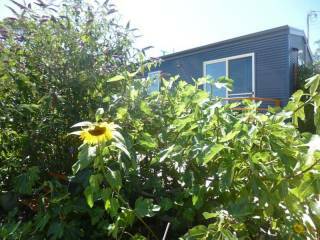 Close to CBD & Huon Trail. Secluded & peaceful. Esplanade 54 is a fully self contained waterfront house offering beds for up to 8 guests. 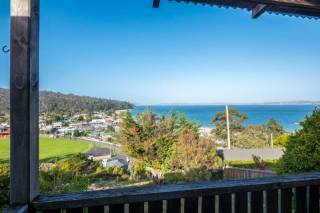 Located south of Hobart in the coastal town of Margate, this home away from home sits right on the edge of North West Bay. It is a short walk from a supermarket, a bakery, fantastic cafe's, the local pub and a large park with lots of short walks, kids equipment and tennis courts. Being so centrally located makes stocking your pantry, dining out or burning some energy a breeze. Esplanade 54 is 20 minutes from Hobart and 20 minutes from the Huon Trail. 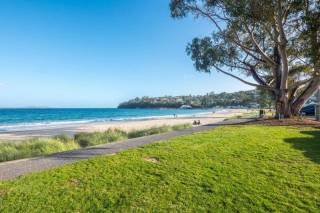 Both locations offer a huge range of activities and attractions from short/long walks, wine tasting, water sports, spectacular views, shopping and loads of places to taste the fresh produce that Tasmania offers. Because we want you to start your holiday at Esplanade 54 without any stress, we supply complimantary coffee pods, sugar, tea, milk for your enjoyment. The Anchorage is a late 1800’s waterfront cottage that has been beautifully renovated. The house retains much of it's original character but now offers a light and airy open plan home. The house has 3 bedrooms and 2 bathrooms. All bedrooms are simply yet elegantly styled with views of the bay from each. Two bedrooms have king size beds and the third has three single beds. The bathrooms are beautifully appointed with the main bathroom showcasing the restored original bath tub. ​The Anchorage is nestled beside North West Bay, giving guests amazing, uninterrupted water views. 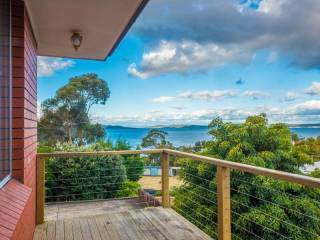 ​Centrally located between Hobart CBD, Bruny Island, and the Huon Valley, The Anchorage is a short 20 minutes from each. 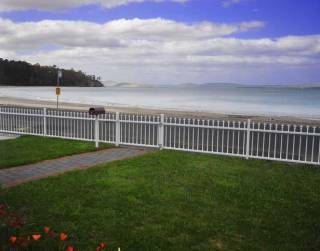 Therefore the perfect place to call home whilst you explore southern Tasmania. ​Other 'must see' Tasmanian attractions are within close distance to The Anchorage. For example: Mona (Museum of Old and New Art) is a 35 minute drive. The ferry to Bruny Island under 20 minutes drive which is home to the famous Pennicott Wilderness Journeys and Bruny Island Cruises. Port Arthur historic site approximately 1.5 hours away. We also welcome larger group bookings across both houses. We do not Accept arrivals on a Sunday, so no bookings to arrive on a Sunday! Guests are responsible for covering the cost of damage or loss of The Holiday Home People's property during their stay. Any amount due will be charged to your credit card or invoiced accordingly. Smoking is not permitted inside the Holiday House. The Holiday Home People is not be responsible or liable for any loss or damage to any guest’s property or equipment during their stay. The Holiday Home People require full payment of your stay at the time of booking. If you cancel your booking less than 30 days prior to your arrival date, you forfeit any refund. If you cancel your booking between 30 and 90 days of your arrival date, you will receive a 50% refund of the total stay.